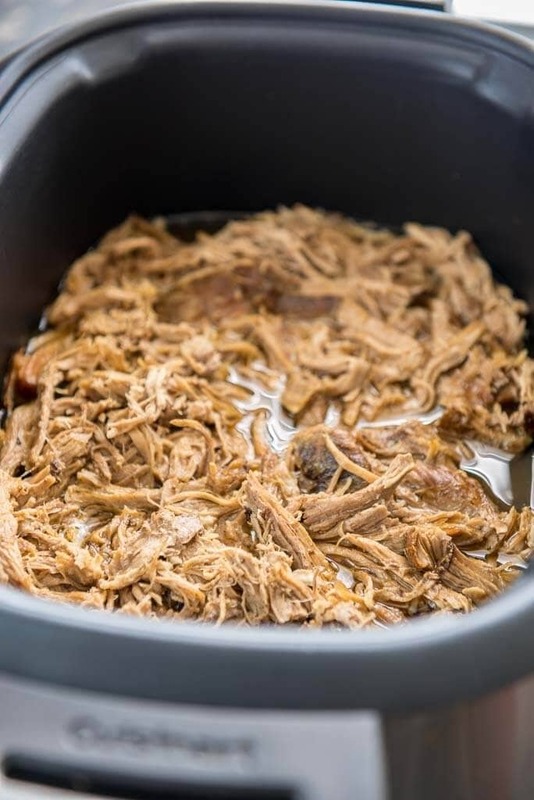 Need an idea for leftover pulled pork? Pulled Pork Enchiladas are easy to assemble and perfect for a quick weeknight meal! Whenever I make pulled pork, I always have plenty left over and instead of just making another pulled pork sandwich meal I decided why not use the leftover pulled pork for enchiladas! 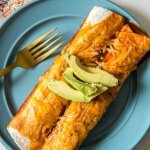 These Pulled Pork Enchiladas are quick and easy to make using my Easy Slow Cooker Pulled Pork recipe. I promise they will not disappoint. The best part? This recipe is only 4 ingredients and can be done in less than 30 minutes. It’s the perfect weeknight meal during the busy school year! 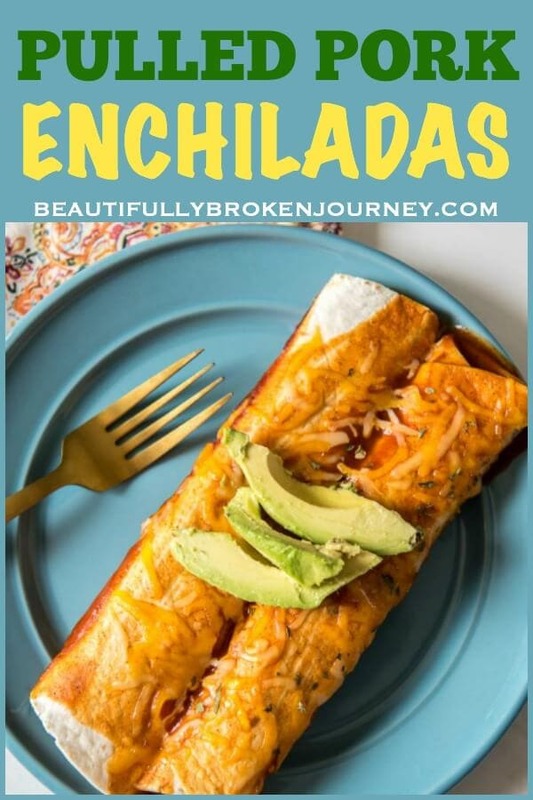 You can prep the pulled pork ahead of time in your slow cooker and have it ready to go in the fridge to assemble these Pulled Pork Enchiladas. Super easy and super delicious! Looking for a side dish with your Pulled Pork Enchiladas? Delicious and easy for a quick weeknight meal. 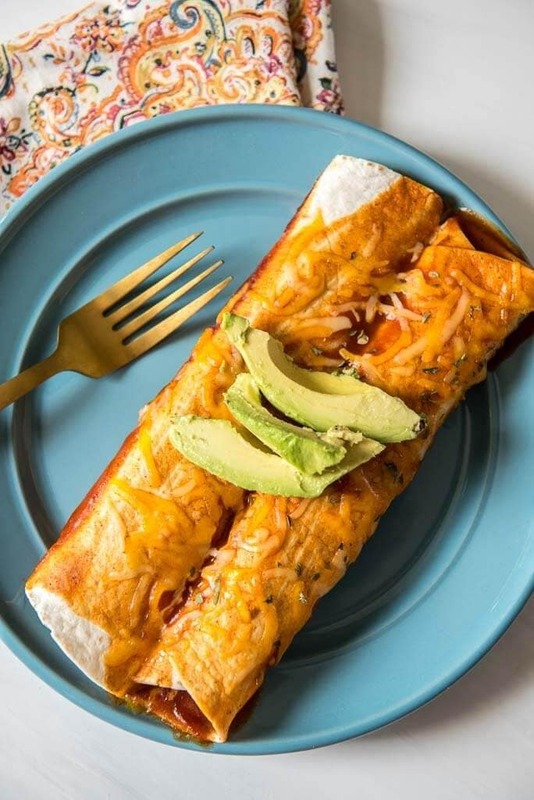 These Pulled Pork Enchiladas are perfect for a busy schedule! Spray a 9x13 pan with cooking spray and add 2 tablespoons enchilada sauce to the bottom of the pan. Fill each tortilla with equal amounts pulled pork and cheese. Roll tortilla and place seam side down in pan. Repeat for all 10 tortillas. Pour remaining enchilada sauce over enchiladas and top with any remaining cheese, or add extra if desired. 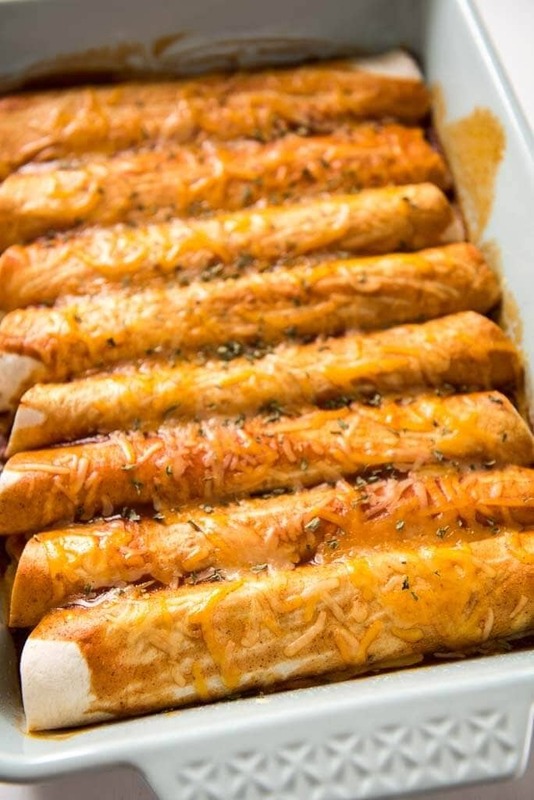 Bake at 350 degrees for approximately 12 minutes or until enchiladas are heated through.